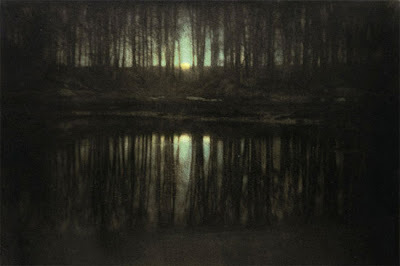 Edward Steichen, The Pond-Moonlight, 1904. Sold for 2,9 million dollars, highest price paid for a photograph auction. Funny, world is small or we live in the same fishbowl. I was collecting sources for numbers (or prices) suitable to be used in aesthetics considerations and was not including Christie's. As usual your post comes in with perfect timing.